If there is one thing that Japanese car culture has an abundance of its character, as obscure as it may get. Heavy emphasis is put on style which arguably hinders performance. Although I'm an advocate of function over form I appreciate style because without it we would all be German. Their combination of onikyan, skakotan, tsuraichi, and hippari tires have become our recent "hella flush" craze, albeit a decade behind. 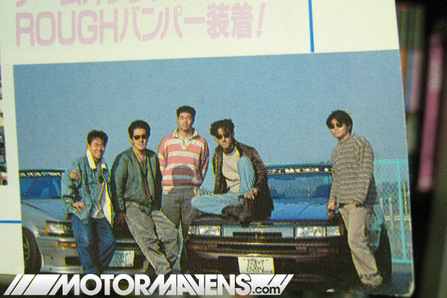 I can't pick at the slammed & stretched tire guys for being dated because I'm just now learning about the legendary Japanese drifting and circuit crew Rough World. From what I've read Rough World is to Japan what Hot/Rat Rodders are to America, except instead of drag racing they drift through the mountain passes and hit the local circuits. Their style is raw, function-driven, and anti-bling. Their attitudes are that of the cigarette-smoking, nonconformist, tattooed youth. Part-greaser, part- punk, all passion. Let me show you what I mean. Note the sparse interior, exposed wires, fuses and rev-limiter plugs stuck in the roll cage padding, and the highly visible tachometer; all very reminiscent of America's classic hot rod movement. Further back you see untidy wires going to the MSD ignition amp and a carton of Marlboros; Two American staples. Here is more about Nojima's 8-6. It's obvious the Rough World guys don't work within cultural bounds so it's not surprising that the leader of Rough World, Kei Nakai, races a Porsche 930. Aside from flat black paint, MSD ignition, and PMO carbs there isn't much American influence in this Porsche, but I like to think that Porsche building is better done by the Germans and Japanese. The naturally aspirated 3.8L flat six pumps out 360 horses. Combine all of those ponies with the 2,100 pound race weight and it's obvious how this 930 laps Tsukuba in under a minute. You really should read more about this car. Also, here's more on the history of Rough World. The reason I wanted to write about Rough World was because American car trends generally aren't internationally cool, which is understandable. 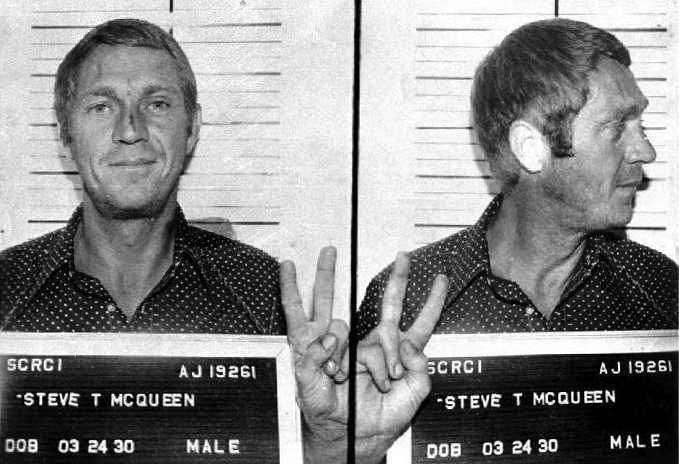 I mean, that last cool car-related thing to come out of America was Steve McQueen. Also, the JDM craze in America has resulted in people spending exuberant amounts of money on authentic JDM parts, myself included. So it's nice to see that a few seemingly insignificant yet iconic American automotive trends made their way on to some cars in the land of the rising sun. Big thanks to the guys of Speed Hunters and Motor Mavens for all the information and photos. Categories: "'Merica", "Motor Mavens", "Rauh Welt", "Rough World", "Speed Hunters", "Words"